In honor of Tracee de Hahn’s publication day this week for Swiss Vendetta, the MissDemeanors all weighed in on the flurry of feelings they experienced on their first “Pub Day.” (Excuse the snow metaphors. The New York Area, where I live, was just buried beneath a foot of the stuff). For me, I remember a vague feeling of nausea. I was concerned that my first novel, Dark Turns, would be ruthlessly criticized. I was emotional and easily aggravated all day. I am happy to say that those feelings lessened for my second novel, The Widower’s Wife, and I am hoping that I may even approach happiness on the launch day for my third, Lies She Told, next September. 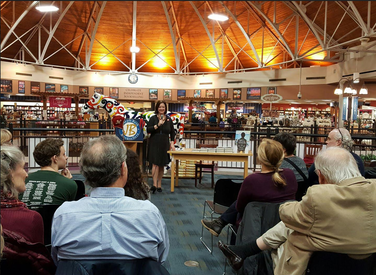 Here’s how the rest of the crew felt: Susan Breen: I had two book launch days in 2016. On June 14, my first Maggie Dove book was published and I was an absolute wreck because it’s set in a village very much like my own and I worried everyone would hate it. (They didn’t.) On November 8, (Election Day), my second Maggie Dove mystery was published and I was a wreck because I was so worried about the election. So I guess there’s a theme there. C. Michele Dorsey: When No Virgin Island was published, there was a great party held at the James Library in Norwell, Massachusetts, which was attended by more than 100 people, including friends, relatives, clients, fellow-writers, and former classmates. The very generous, effervescent, and talented Hank Phillippi Ryan interviewed me with her usual charm and wit. 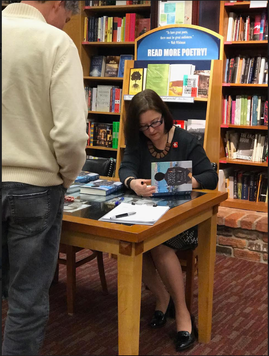 Later, she wrote, “Now that was a launch party.” As I looked out at the crowd of people who had so kindly supported me, I thought, this is like being at your own wake. The final honor came when relatives of a murder victim in St. John whom I had mentioned in the acknowledgements of No Virgin Island came to honor me and to buy my books. That moment can never be duplicated. Alexia Gordon: I felt nauseated on book launch day. I thought everyone would hate me and no one would buy my book. (No, I’m not at all insecure. ) I distracted myself by hopping on a plane to New Orleans to listen to Walter Moseley’s awesome speech at the Sisters in Crime SinC into Diverse Writing Pre-Bouchercon Workshop. The next day I hopped on a plane to Ireland. So, I guess you could say I dealt with my book launch by high-tailing it to a different continent. Tracee de Hahn: Three days into my launch I have to say that book launch and for me tour is tremendous fun! Interacting with real readers! In real stores! My first two visits were to Joseph-Beth Booksellers in Lexington and in Cincinnati and the stores, the people who work there, and the great job they do promoting books each and every day made for a fantastic experience. Can’t wait to visit the other stores. Robin Stuart: My non-fiction book launch was anticlimactic. On the one hand, I achieved an arbitrary goal I’d set for myself to be traditionally published in my field. And it’s cool to think that university students read my words to learn about digital forensics. But my stretch goal, as we call it in dayjob-land, has been to fill a shelf (or several) with a series of novels bearing my name on their spines. I’ve been planning my debut launch for a couple of years now, pulling together a series of promotional events with a little (okay, a lot) of help from my friends. That’s one I can’t wait to see come to life. In the meantime, I have been and continue to hone the craft. It all begins and ends with spinning a good yarn, after all.